It's a proven fact that pets can reduce your stress levels and bring joy to daily life. Pet lovers deserve a few extra perks as well when the holidays roll around. 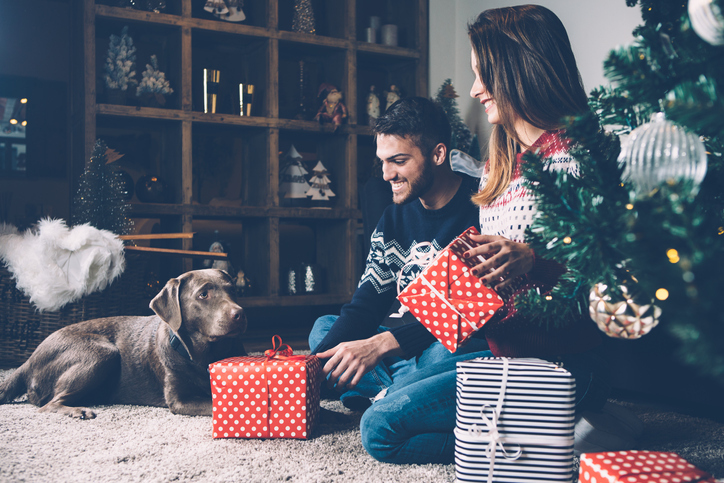 If you're looking for a gift to thrill a pet lover or a beloved animal, it's time to explore the best options in the marketplace today. Fido or Fluffy will love a thoughtful gift. For the pet lover with some humor, consider a funny book. "Sorry I Pooped in Your Shoe (And Other Heartwarming Letters From Doggie)" by Jeremy Greenberg is a laugh-a-minute joy. You're probably familiar with most doggie fails, from jumping a pet gate to stepping clumsily off of a street curb. Every lovable moment is captured in this book. Most pet lovers appreciate books that poke fun at their world. Living with and loving dogs and cats is a full-time job. It makes sense that mistakes and funny scenarios will start with breakfast and proceed full throttle into the night with even one pet in the household. Setting up a cat perch in a window may be your goal, but you want to give Fluffy even more of a view. Think about a bubble pod for the cat's viewing pleasure. This product sticks to nearly any window so that the cat has a safe perch to see everything outside. There's even a window where the pet lover can look into the pod. If you can't find Fluffy, the window will tell you if this hiding space is a favorite spot. The design is easy enough for the cat to move in and out of the pod without hindering its movement. Both cats and dogs eat out of standard bowls that are only a single inch or two above the ground. This height may not seem like a big deal, but your pets might be silently protesting. Consider an elevated eating center. It comes with a stand that holds two feeding bowls. Use this stand for larger dogs, especially if they're seniors. A more comfortable eating and drinking position will ease any aches in the dog's body. The stand also keeps the food off of the ground where dust and pests might infiltrate it. Both pets and their owners will enjoy the sophistication that this stand brings to any home. Try a Rescue Box purchase because these monthly subscriptions combine top products with a charitable gift to a local animal shelter. You select how often the box should arrive during the year. It's even customized to the animals in a household. These boxes are helpful if you're curious about a product, but you don't want to purchase it yet. Try every product in the box so that you can make an educated decision about buying more items in the future. You might discover a product that thrills everyone in the household, including Fido and Fluffy. Your cat might have a standing scratcher that's slowly falling apart. Think about buying a more unique scratcher that's built for a cat's habits. These scratchers actually look like the number eight pushed over onto its side. Your cat can scratch the top or the curved sides. Cats also find it fascinating that they can walk through the number-eight openings for a solid rub against their backs. You might see Fluffy walking back and forth through this scratcher. If your cat is prone to rubbing the walls and couch, you'll appreciate this scratcher. It even looks like an unusual art piece, which changes the aesthetic of any room. There are certain chores that revolve around a pet's care that even the biggest fan won't be thrilled to perform. Picking up after a dog's elimination is one of those chores. Make the daily chore easier by purchasing a discreet walking kit. It comes with a leash, baggie holder and color-matched bags. By disguising the bags with an attractive color, you won't think too much about the job at hand. It blends into the leash and collar. You can always replace the baggies for constant use throughout the year too. If you've shopped for tee shirts lately, you may have noticed that cats are the trend. Pet lovers will adore a cat tee shirt. It's not a standard photo of Fluffy either. Whimsical cats with neon colors surrounding them give the shirt a funky appearance. Many of the images are complete with cats partying at a disco or another function. For an even better gift, look for tee shirts that have a glow-in-the-dark feature. Pet lovers can attend concerts and other events where the glowing cats make a conversational impact. Anyone who's shy can take advantage of the shirts' positive images. Olivia Harper is the co-founder of the blog Daily Dog Stuff. She is a reserved and passionate pet parent who loves to spend time with her Sibe, who keeps her active and social. Read more of her guides and tips by visiting the blog or following their page @dailydogstuff.